Take note: much has developed since 2011. Islamic radicalization in America has intensified and Muslim immigration rose dramatically from 2008 to the present--specifically from countries that present a threat. The situation has worsened greatly since this report was written. Al-Shabaab in Somalia, al-Qaeda’s major ally in East Africa, is radicalizing and recruiting Muslim-Americans inside the U.S.
Shabaab has an active recruitment and radicalization network inside the U.S. targeting Muslim-Americans. So many Americans have joined that at least 15 of them have been killed fighting with Shabaab. At least 21 or more American Shabaab members overseas remain unaccounted for and pose a direct threat to the U.S. homeland [upon return]. Shabaab has the intent and capability to conduct attacks or aid core al-Qaeda and … striking … the U.S. homeland. COMMITTEE FINDING: Shabaab indictments account for the largest number and significant upward trend in homegrown terrorism cases over the past two years (2008-2010). At least 38 cases have occured since 2009 in 10 different states. COMMITTEE FINDING: More than 40 Americans from Muslim-American communities across the U.S. have joined Shabaab since 2007, including two-dozen recruits from Minneapolis. 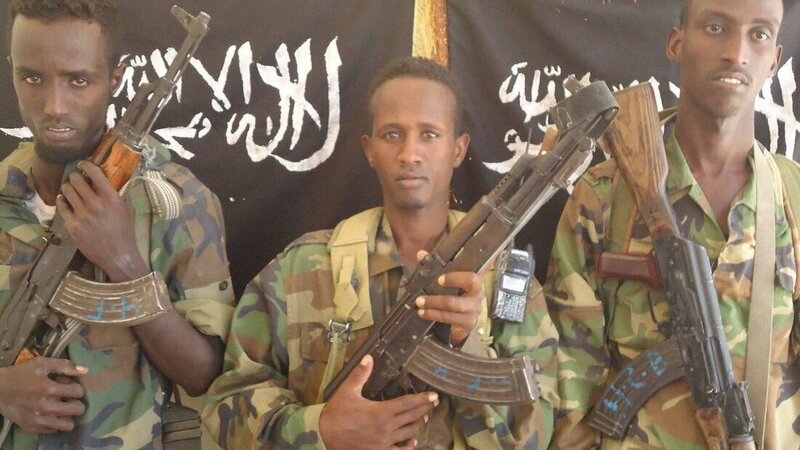 … as many as 21 American Shabaab fighters still at large or unaccounted for. Note: this is "known" cases; there are many un-detected cases). U.S. Somali communities have been known to operate on behalf of top Shabaab leaders, and in some cases these operatives used American mosques to cover and conceal their activities. In San Diego’s City Heights neighborhood, imam Mohammed Mohamud and three other Somali-Americans of sent cash to the top Shabaab leader. COMMITTEE FINDING: Shabaab recruiters have used mosques as cover and as safe places to meet to discuss recruitment and radicalization efforts to send fighters to join the terrorist group, as well as to recruit and raise money to support Shabaab. There is considerable travel by Somali-Americans between enclaves of immigrants in Minneapolis, Boston, Seattle, Washington, D.C., San Diego, Columbus and Lewiston, Maine and their East Africa homeland. Shabaab recruiters operating in those cities are targeting susceptible individuals for radicalization and recruitment. COMMITTEE FINDING: Given the volume of travel of Somali-Americans between the U.S. and East Africa, some senior U.S. counterterror officials increasingly fear that they have not identified all the American travelers to Somalia who have come into troubling contact with or joined Shabaab, and that some of those individuals could return to the U.S. to recruit a cell or conduct a lone wolf attack inside the homeland. One of Shabaab’s rising combat commanders is Alabama-raised Omar Hammami, a Southern Baptist convert to Islam who has become a star of Shabaab propaganda videos. Hammami poses a direct threat to the U.S. homeland with his ability to assist Shabaab, core al-Qaeda or AQAP with plots, but he also has become a source of inspiration for jihadis. Two terror defendants in New York, Betim Kaziu and Salujah Hadzovic, were inspired to travel to Egypt for violent Islamic jihad by watching Hammami tapes. COMMITTEE FINDING: American Muslims recruited by Shabaab have been trained to commit terror by senior al-Qaeda operatives, including some with ties to AQAP in Yemen – now al-Qaeda’s most dangerous franchise targeting the U.S. homeland. AQAP = Al Qaeda in Arabian Peninsula. COMMITTEE FINDING: Shabaab is cementing operational links with Yemeni- American AQAP leaders, which has claimed credit for attacking the U.S. homeland several times since 2008. U.S. counterterror experts fear the American Shabaab fighters could be taught by AQAP’s expert bomb-maker to conduct attacks against the United States. Internet chatrooms frequented by the Somali diaspora – estimated at 1.5 million Somalis worldwide – are “full of Shabaab commanders” reporting news of warfare in southern Somalia and encouraging the Somali diaspora to come home to fight jihad. Some of Shabaab’s recruiters, facilitators and fundraisers working between isolated Canadian and U.S. Somali communities have been known to operate on behalf of top Shabaab leaders, and in some cases these operatives used American mosques to cover and conceal their activities. COMMITTEE FINDING: American recruits in Shabaab are leveraged by the group in its propaganda to inspire Westerners to carry out violent jihad, including suicide bombings, thus raising the danger of attacks inside the U.S. homeland. COMMITTEE FINDING: American Muslims recruited by Shabaab have been trained to commit terror by senior Al Qaeda operatives, including some with ties to AQAP in Yemen – now Al Qaeda’s most dangerous franchise targeting the U.S. homeland. • Shabaab also has pledged a public and ideological alliance with Anwar al-Aulaqi, an American atop the leadership ranks of AQAP in Yemen, and more recently cemented the relationship by forging operational ties with AQAP. 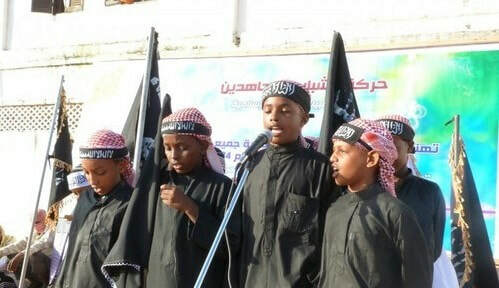 • Shabaab operative Ahmed Abdulkadir Warsame was charged this month for providing support to AQAP including “personnel,” receiving explosives training from the Yemeni group, and for attempting to orchestrate a weapons deal between Shabaab and AQAP. • Shabaab and the Islamic Courts Union harbored Al Qaeda operatives such as Fazul Abdullah Mohammed, who was in Mogadishu during the 1993 “Black Hawk Down” battle with U.S. Special Operations Forces, helped mastermind the 1998 U.S. embassies bombings and was reportedly an Al Qaeda middleman between Shabaab and AQAP in Yemen. • Shabaab recently dispatched dozens, if not hundreds, of fighters to southern Yemen to help AQAP control areas it has seized from the weakened Yemeni government, according to Yemeni officials and the U.K.-based Quilliam Foundation. COMMITTEE FINDING: Shabaab is cementing operational links with Yemeni- American AQAP leader Anwar al-Aulaqi and his growing terror network, which has claimed credit for attacking the U.S. homeland several times since 2008. U.S. counter terror experts fear the American Shabaab fighters could be taught by AQAP’s expert bombmaker to conduct attacks against the United States.